Finding the right pair of Bluetooth headphones is about understanding your expectations. Where do you intend to do most of your listening? What are you listening to? Headphones designed for 2-3 hours of use are fundamentally different from those intended for longer periods of time. But it’s not just about battery power, it’s also about comfort, and even sound quality. Jam Been There are feature-oriented headphones. 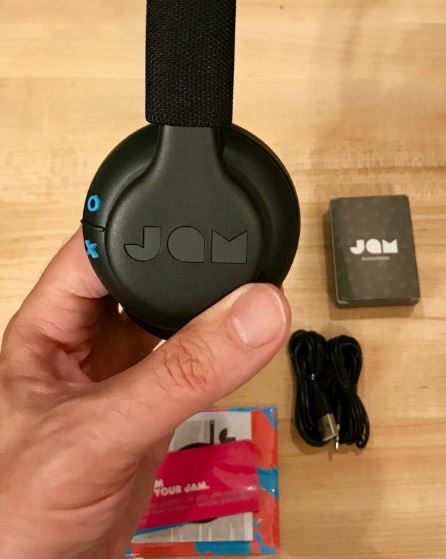 They combine durability, Jam Audio’s distinct style, a lengthy battery life, extensive connection distances, and about six more features into one small frame. In other words, they’re essentially about offering great utility. Even though most people don’t realize it, utility is precisely what they’re searching for from headphones of this type. But Jam Been There certainly aren’t for everyone. Physically speaking, Been There On-Ear Bluetooth Headphones are modestly compact, measuring 8.6 x 3 x 8.7-inches. More significantly, they weigh only 6.5 ounces, making them on the lighter side for on-ear Bluetooth headphones. Their sturdy acrylic construction also provides IPX4 water resistance. But you should know, that’s actually one of the lower water resistance ratings, meaning you probably don’t want to take Been There to a pool party. The resistance is closer to providing protection from sweat, rain, and small spills. Although they’d probably survive, you wouldn’t want to make it a habit to start washing them under the faucet. On-ear headphones are constructed to rest directly against your ears. This design has several things going for it. It creates for more open soundscape because it allows sound to escape away from your head while listening to music, rather than being trapped within a sealed over-ear compartment. This might seem minor, but it’s actually a difference that anyone can notice at virtually any level of sound quality. And on-ear design is preferred by many people compared to in-ear headphones. Some people are just put-out by the idea of shoving objects into their ear canal, which is understandable. Plus, the slightly smaller ear cups used by on-ear design make Jam Been There exceptionally portable. Yet another benefit of on-ear designs compared to fuller-bodied over-ear headphones. But as with all different headphone types, there are some drawbacks to on-ear Bluetooth headphones. Most notably, they do not prevent what you’re listening to from bleeding into the environment around you. That means they’re not the right headphones for using at the library, or wearing in circumstances where you may disturb others. And on-ear headphones do not provide any measure of sound isolation for your listening. That means Jam Been There is a poor choice for listening to music in noisy areas. If you look at mainstream audio equipment from major brands, what you’ll find is nearly all the equipment looks exactly the same. There are one or two colors, often only black, and rarely distinctive. While aesthetic isn’t exactly the point of a pair of headphones, they are a worn accessory, so many people will care about how they look. Jam’s unique style has always been a palpable aspect of their portable audio lineup. Been There have a similar design much of Jam’s portable equipment, with upbeat off-tone colors somewhere between retro-looking and new modern. 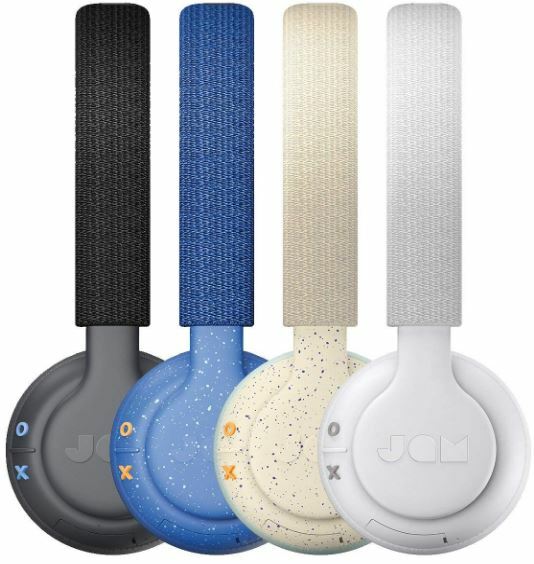 Jam Been There headphones are available in cream soda, gray, blue, and black. The gray is more of a dull white than true gray, while the black is closer to dark gray. 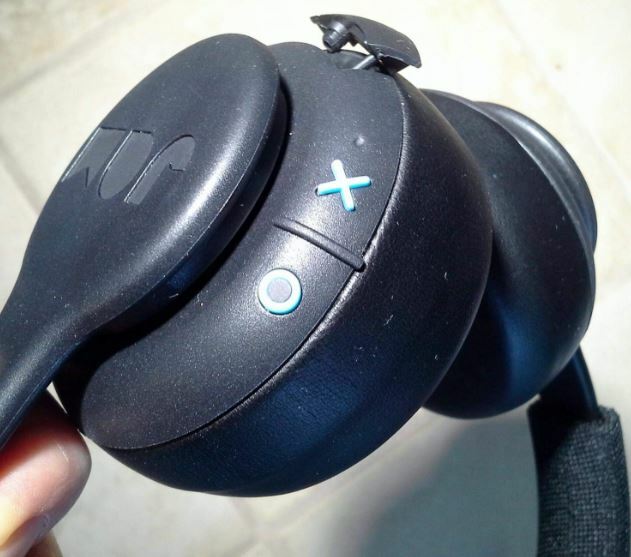 Outside of the left ear cup, you’ll find two prominent buttons. Each button is slightly raised, making it easy to press them without looking. And the designs of each button makes this simple to do even when you’re using Been There for the first time. The distinctive “X” button will lower volume, while the “O” button raises it. Between those two buttons, a small divider-bar button can be used for pause, play, power, and taking calls. Just below that, you’ll find a small LED to show you the status of your headphones, as well as the micro USB charging port. 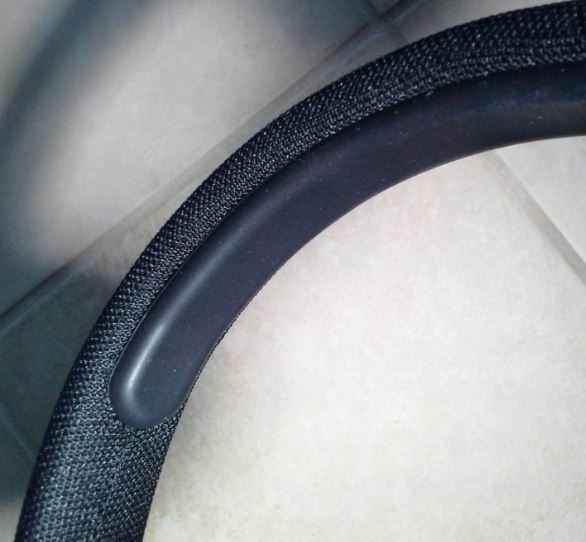 The last generation of Bluetooth headphones was all about 30-foot connections. The latest generation is not quite as limited. Been There provide a fairly impressive 50-feet of connectivity. And making that connection pairing is quick and easy, especially with tablet devices like the iPad. While most people will probably only need a few feet of connectivity, as they will be connected to their phone, the extra signal strength does make Jam Been There more effective within some types of indoor environments. If you’re in a home or office where signal strength increases or decreases based on how many walls there are between you and the router, then you’ll be able to benefit from Been There’s extra-large connectivity. Of course, sometimes you may not have Bluetooth. Many types of Bluetooth headphones leave you high and dry in those circumstances. Fortunately, as with many of Jam Audio’s portable Bluetooth speakers, Jam’s Been There offers users a 3.5mm aux-in port. Along with the included AUX cable, you’ve got everything you need to turn Been There into wired headphones as needed. Jam Audio has listed Been There as having up to 14-hours of playtime. Whether or not you actually get 14 hours depends on a variety of things, from the temperature of the room to volume levels. But 14-hours is actually a fair estimate in less-than-generous circumstances. If you turn your volume up considerably, then you may end up with closer to 11 hours of battery life. Given that these headphones are supposed to last a person through their workday, this battery is clearly capable of doing what it’s supposed to do. 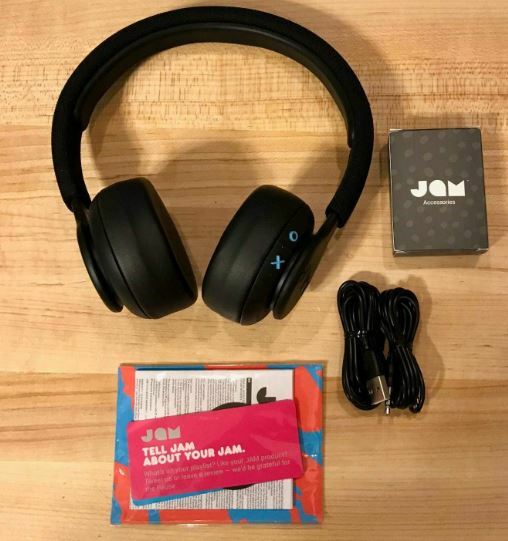 But if you plan on using Jam Been There On-Ear Bluetooth Headphones very frequently, you will have to recharging them a regular part of your day. Recharge speeds are fairly similar to smartphones. But like with your phone, more casual use can stretch out the battery nearly a week between each charge. Creating high quality sound is hard to do. Most consumer headphones are constructed by manufacturers with the anticipation that they’ll have to be powered through fairly weak devices. Your smartphone can’t provide much amperage for your headphones to work against. The same is even true of desktop computers, unless they’re constructed specifically with an audio amplifier. In other words, unless you’re connected to a powerful amplified device, there’s a fairly low ceiling on the sound quality you can get though headphones. Instead of shooting for the greatest sound quality you can get, choosing great on-ear Bluetooth headphones for less than $300 is about something else entirely. It’s about finding headphones that have soundscapes and characteristics which are tuned to your tastes, or have all the utility necessary for the types of listening you plan on doing. Jam Audio’s Been There isn’t really about providing the best sound quality, it’s about providing the best experience. It’s about portability, durability, convenience, and style. That’s not to say Been There sound bad. On the contrary, they sound is about average relative to this price point. It’s even praiseworthy for Jam deciding to refrain from heavily boosted bass. That creates a nice even quality to the sound, making Been There adaptable to a variety of different environments. When it comes to comfort, Jam Been There are a mixed bag. One potential issue is that Jam Been There are somewhat stiff due to a lack of swivel. 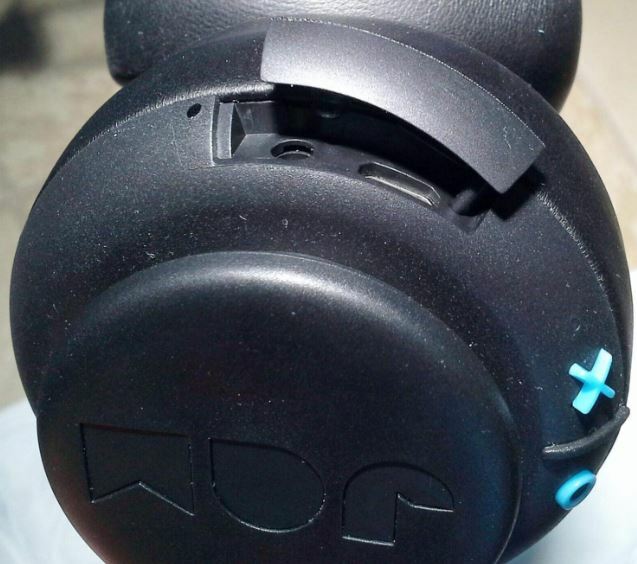 The ear cups have padding but because they don’t swivel or flex they press against the ear while wearing them. This is in the interests of making them portable and sturdy. But as a result, the headband comfort is somewhat unremarkable. The on-ear design is another contentious point for comfort. On-ear headphones, like Jam Been There, press directly against your ear. For two or three hours of listening, that’s going to be perfectly comfortable. But if you keep listening for four or five hours, then you may start to find the compression against your ears uncomfortable. That makes on-ear headphones like Been There better equipped for shorter listening sessions. 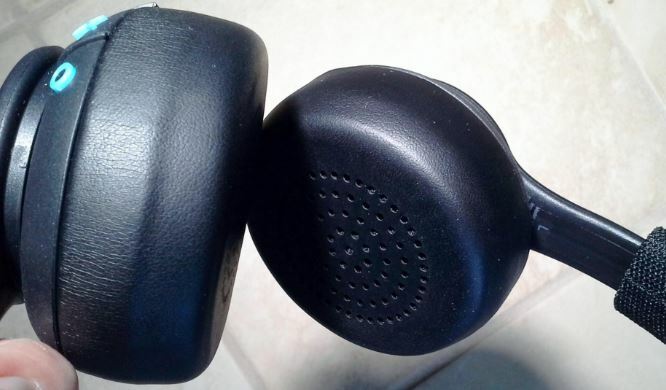 Jam Been There’s hands-free call feature is much the same as it is on all of Jam’s portable Bluetooth equipment. It’s possible to answer your phone without disconnecting the Been There because it knows a call is coming, and can pause your music before the first ring. When the call ends, your music will automatically resume where the track left off. And for making a call, Jam’s Been There is just as intuitive. Just start dialing and Jam’s hands-free feature will take over from there. Jam Been There includes a one-year warranty from Jam Audio. It also comes with a quick start guide, instruction book, USB charging cable, and one AUX cable for making a wired connection. The AUX cable is only a few feet long, but that makes it rather ideal for portability, which is really what these headphones are all about. Who Should Choose Jam Been There, On-Ear Bluetooth Headphones? Is Jam’s Been There the right choice for you? If you plan on 8-hour listening marathons, or you can deal with carrying around larger headphones, then you would be better off with an over-ear design. If you’re going to do all of your listening next to your sleeping spouse, or near a loud railway station, then you’re going to want sound isolation which these do not provide. Jam Been There were made for a very specific type of listener. 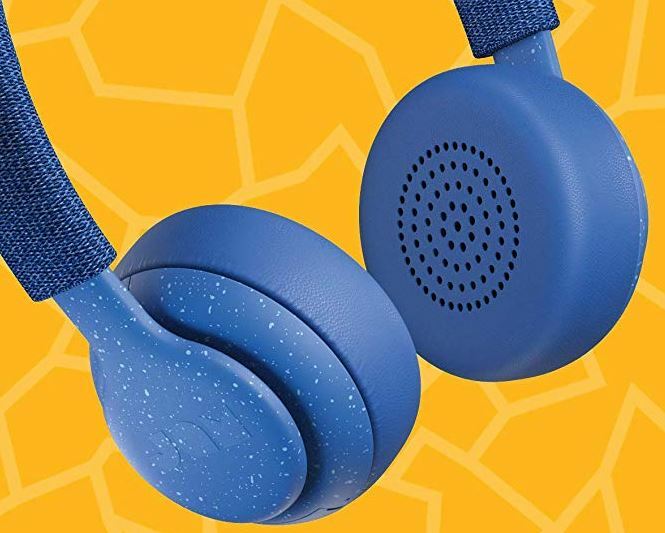 They’re for someone doing less than three or four hours of consecutive listening, someone who’s thinking about portability, and someone concerned about physical damage to their headphones. They’re also for someone who cares, at least a little, about style. If that describes you, then you’ll be extremely well served with Jam’s Been There on-ear headphones.